This French Bulldog nicknamed Leila sold and went to a new family. Come and meet Leila! 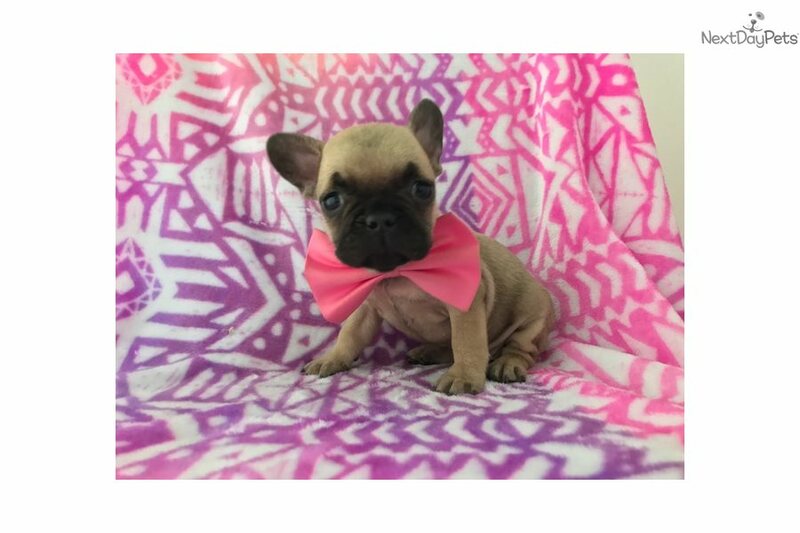 She is a very charismatic family raised, AKC Registered French Bulldog. Dad is a 24 lb AKC Registered Fawn French Bulldog and mom is a 24 lb AKC Registered Red Fawn French Bulldog. She is vet checked, de-wormed, current with her vaccinations and she also comes with a one year genetic health guarantee! If you want to have her flown out to you, driven out to you or schedule an appointment to come and meet her monday - saturday from 9am to 9pm feel free to text or call!